The Nintendo 64 perhaps wouldn’t be as fondly remembered if it wasn’t for Rare. Initially the British based game developer Rare (from my home county of Leicestershire in fact) had already made quite a name for themselves on the gaming scene, making several hits for the NES. However in 1994 their work on 3D graphics managed to impress Nintendo senior staff on a visit to their studio, which ultimately led to one of Nintendo’s most successful partnerships of all time. Now on board as a second-party developer, the founders of Rare showed interest in making a new Donkey Kong title and thus the development of Donkey Kong Country began. The game became a smash success, becoming the SNES’s second best-selling title of all time after Super Mario World. The game wowed players worldwide with its 3D-rendered graphics, a thing never before seen on the console gaming market. Not only was Donkey Kong as a franchise born anew, but we quite literally we had an entirely new Donkey Kong to play with. He might not be as big as he used to be but… he’s way, way scarier! Indeed there was a bit of retconning in the works with the new game. The Donkey Kong we all recognise today (i.e. the one with the tie) is actually an original character created by Rare and Nintendo. This new Donkey Kong had a whole family to get to know; there’s his sidekick Diddy Kong who is also his nephew, his smoking hot girlfriend Candy Kong and his cool surfer brother Funky Kong. 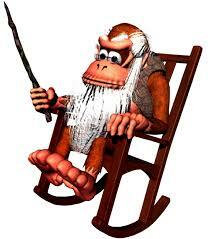 And let us not forget his grandfather, Cranky Kong who is actually the Donkey Kong of old, now in his senior years but still adamant he’s the best darn Kong who ever lived. Donkey Kong’s family would only expand in the years to come but one family member surprisingly seems to have fallen off the radar. Donkey Kong Jr. (who we would suppose is Cranky’s son and thus the new Donkey Kong’s father) has disappeared almost entirely. Regardless, the characters and scenario laid out in Donkey Kong Country is now standard in the Nintendo canon, including the Mario vs. Donkey Kong series which revisits the original arcade series formula. One of my friends had this game. I wish we’d spent more time on it! It’s like DDR but with your hands! Coming into 2010, Retro Studios, the team behind the hugely successful Metroid Prime series, took the baton to continue the Donkey Kong Country series, effectively giving the Kong family the New Super Mario Bros. treatment. The result of this was a game that lovingly brought back a classic in a way that exceeded our expectations. IGN’s review even stated that “Rare should be proud that its design is in the right hands.” Thus at the moment Donkey Kong’s future is looking bright and with last year’s Donkey Kong Country: Tropical Freeze meeting good reception it wouldn’t be a hard to see another trip to Donkey Kong Island in the next console cycle. The revival may not have been as revolutionary graphically, but they are mighty pretty games. 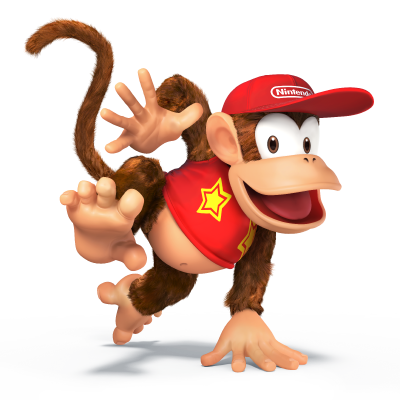 Alongside Donkey Kong’s modern day image, Diddy Kong also appeared for the first time in Donkey Kong Country. 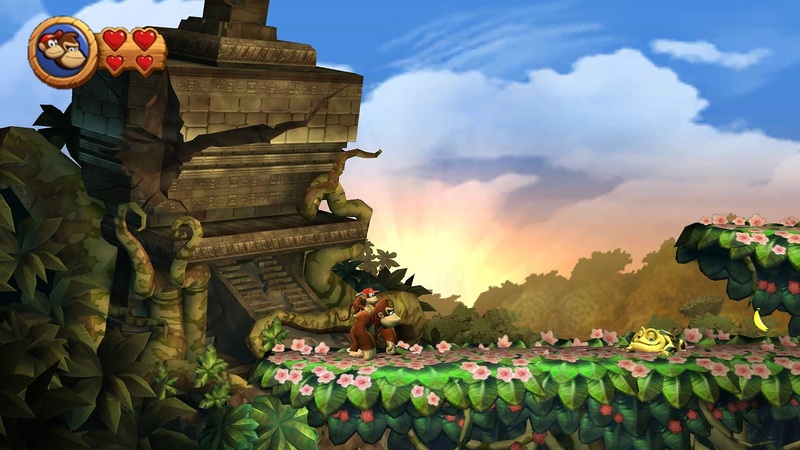 Many Super Smash Bros. stages also originate from this title including Kongo Jungle (64) and Kongo Jungle and Jungle Japes from Super Smash Bros. Melee. The item Barrel Cannon also first appears here propelling fighters just like it propelled Donkey and Diddy across the jungle. 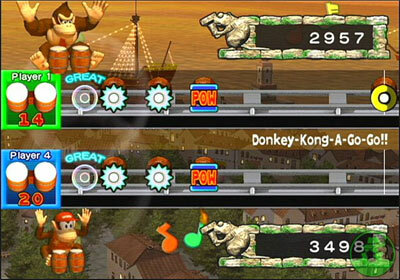 The Klap Traps on the Jungle Japes stage and the Kritters in Smash Run also first appeared in Donkey Kong Country also.